The Holst Memorial Lecture and Symposium are organized by Philips Research and the Technische Universiteit Eindhoven (TU/e).This year’s Holst Lecture, the 41st since 1977, will be given by prof. Caroline Robert MD, PhD. 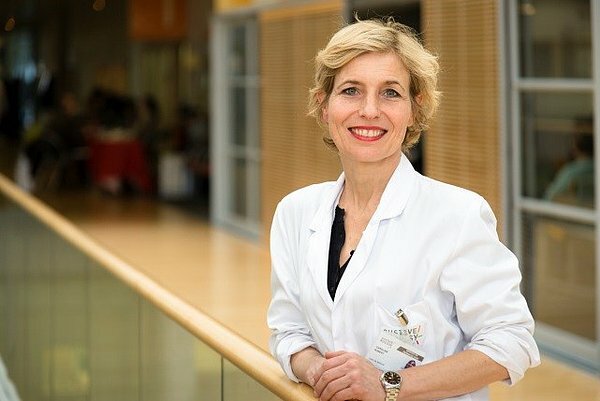 Caroline Robert is University Professor of Dermato-Oncology and head of the Dermatology Unit at the Gustave Roussy Cancer Centre, Villejuif-Paris, France. disease as well as the outlook for the patient, which together largely define treatment choice. Furthermore, in recent years cancer immunology has come to the forefront and has produced several new methods of treating cancer that increase the strength of immune responses against tumors. Immunotherapy stimulates the activities of the patients own immune system or counteract signals produced by cancer cells that suppress immune responses. Four eminent scientists will share their views on developments in their specific field of research, focusing on aspects like imaging, pathology, therapeutic applications and immunology. tumor types. Along with this new concept, profound reevaluations of assessing the efficacy of the drugs, managing the new toxicity profiles and addressing the patient’s quality of life are emerging leading to a global revolution the field of cancer treatment.